Hey guys, we finally got around to doing a new video to show off all the hard work we have been doing in the nursery. It’s been a few months since we’ve posted anything new on here and a lot has happened. We have been hard at work getting the nursery to an all new level of beauty. We have added walkways and done quite a bit of landscaping. We’ve built a wedding area and held our very first wedding out at the property which was lovely. Those are just a few photos to keep you guys in the loop, you can expect a much more detailed video in the not-too-distant-future about all that we’ve been doing so far this year. We also have an event next month, our usual Spring Festival (only two days this year) and we are excited to share all the beautiful things that we’ve added to the nursery. The event page on Facebook has more details about what we have planned for our event so click here to visit that page and RSVP. There will be free beer and mead, (as always), as well as demos with Mike Rogers on Friday (the 12th), and a workshop with Ed Trout on Saturday the 13th. It’s the same weekend as Mother’s Day so come to shop, we will have 20% off all stock, soil, tools, non-specimen trees, and bonsai pots. Last week Jason and I picked out one of the larger bonsai trees from the benches and had a bit of fun with it for the holidays. The video is below, we hope everyone is having a great week. 2017 is drawing nearer and nearer and we are excited about things to come! Winter officially begins tomorrow but we plan on having another contest idea ready for Spring. Hopefully we’ll have details to announce soon. And, as a reminder, we have our new page on Patreon to help us to bring all of you more quality content. If you’d like to check it out you can do so by clicking here. If you are interested in contributing, one of the Patron levels gives you first dibs on entering our future contests. I just wanted to take the time today to update all of you who are looking for great deals during the holiday season. We have a special going right now on our website where every order of $100 comes with a gift certificate for $20. You can either save the certificate for your next order or you can give it to someone else for the holidays. The extra bonus is that this deal is stackable: if you spend $200, you’ll receive two separate certificates for $20 each. In the coming weeks we will be updating the website with more trees so keep checking back, this holiday special runs until December 31st. This contest was a lot of fun and we hope to have another one soon, so stick around if you’d be interested in participating. All of the entries that we received were fantastic and we had the opportunity to work with some excellent judges and were able to reward the winners with some really great prizes. And, as a reminder, we also recently started a page on Patreon to help us to bring all of you more quality content as well as future contests for all of our fellow bonsai enthusiasts. If you’d like to check it out you can do so by clicking here. For quite some time now we have been wondering how we could possibly expand to include more bonsai lovers from around the world into our community. Although we have always offered classes at the shop, we are limited in how many people can truly join in. In order to combat the location limitations, we’ve been making YouTube videos periodically but we want to do even more for all of you and especially for those who live in areas without much exposure to bonsai. In a perfect world, we’d have the ability to speak with each and every one of you who has questions or comments. We think we’ve found a way to make this more possible with Patreon. If you have even just $1 to spare, we will take it and build something beautiful for all of us. For now our short-term goals revolve around our continued output of videos and blog posts but in the future we would love to offer online courses dealing with different aspects of bonsai as well as interactive live Q&A sessions and whatever else that we, as a community, can come up with. This is just the beginning and we need your help: if you can contribute to our Patreon then you will be unlocking the behind the scenes area of what we at Schley’s Bonsai and Supplies do. You’ll get exclusive blog posts and videos. If there are enough of us there, we will have weekly discussion posts where all of our patrons can join together to talk about whatever takes their fancy. In the further off future, we will be holding contests and video demos that everyone can get involved in. Whether you are a life-long bonsai fan or just starting to get into the hobby, consider sharing this blog post so that we can start our work on growing this community into something even greater and more inclusive. And if you don’t have the ability to contribute at this time, sharing the page is just as valuable. Thank you! I took some time today to go around the nursery in search of things to photograph. I was very lucky to catch the deer and she let me get incredibly close to her before running off into the woods. Our beginner class for the month is tomorrow morning and next week we have the privilege of hosting Sean Smith. In the morning he will be teaching a class on hut carving and then in the afternoon he will be doing a “bring your own tree” workshop. If you are interested in either class (it may be took late for this beginner class but we will have another one next month) you can read more on our website here. Also worth mentioning, we have an awesome sale on the website on all of our pots. Jason has been bringing in a lot of awesome new inventory so check them out here. They are all 25% off until the end of the month. And last of all, we have been doing our best to keep updating our YouTube channel with new content. Currently we are in the middle of a series on how to care for your bonsai trees in a hotter climate like Florida. Most information that we have seen is geared towards other parts of the country so Jason wanted to take the opportunity to explain a few things that are done differently in the South. Check it out. Our next video in the series will be up on Monday morning. 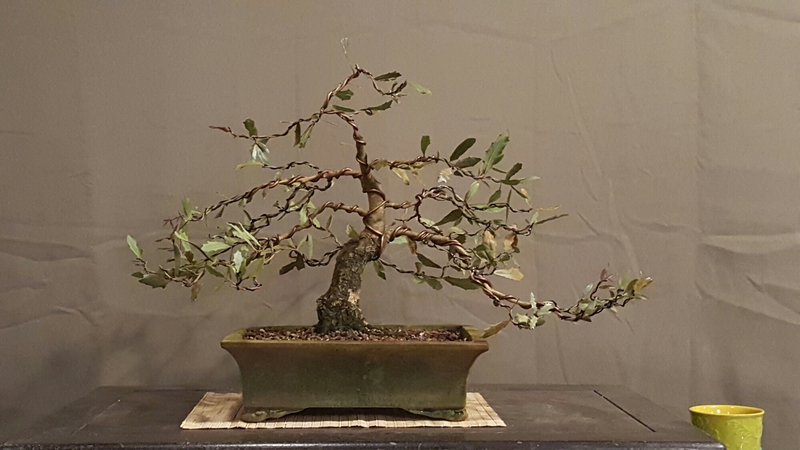 So for many years my most intense involvement with bonsai was attending the odd class or workshop and the mad rush of activity of repotting, trimming, and wiring the majority of my trees in spring (or summer for tropicals). But that changed recently. That was all enjoyable of course but there would be long stretches where, other than watering daily, I didn’t really have to think about trees, even with my own trees numbering into silly numbers. Now I find myself thinking about bonsai a lot more. From my regular day to day tasks of working at a nursery to the way my wheels turn while I’m sitting at home watching T.V. 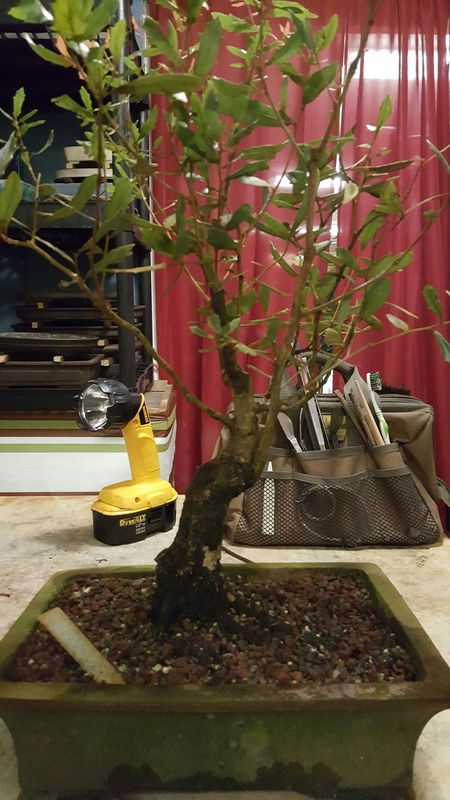 I’m thinking about ways to improve my own work, ways to help a bonsai nursery run efficiently… All the nerdy stuff that generally hurts my brain but also makes me happy. This has definitely given me a new perspective on a not often seen side of the art. The odd thing that I never would have considered was how other people would react to the fact that I’ve started doing what is generally not a normal job. Not for most Westerners anyway. I went to a friends wedding this past weekend and the never ending question that always comes up when you’re at a table of people you don’t know is “So, what do you do?”. I’ve always cringed at that question but I understand why people ask it. I’ve had slightly odd jobs in the past (Like managing an exotic pet shop full of snakes, lizards, and tarantulas) but they’re usually jobs people have some sort of relationship with, even peripherally. Most people’s experience (aside from the fancy people reading this blog 🙂 ) with bonsai is a)The Karate Kid, and b)Those destined to die mallsai that are at way more places than they should be. So inevitably the reaction to my answer is either met with a blank stare as the wheels in their head try to wrap their heads around the foreign concept of bonsai being a job. Or the next most common reaction is “Oh, I love bonsai!”. Surprisingly a lot of people go right from the first to the second within a breath or two. I guess I bring all this up because culturally bonsai is at once appreciated as an artform (or at least as an idea) and also rather misunderstood. I’ve been talking to my parents about bonsai for about as long as I’ve been messing with trees but about 6 months ago my dad bought my mom a grocery store juniper mallsai. It died (and may have been dead when he bought it). I wish he would have asked ahead of time, I could have thrown together a simple tree that would have at least had a head start in that it wouldn’t have been mishandled, mistreated and neglected for who knows how long before he even put it in his cart. And sadly that’s probably the experience of 90% of the people who, on a whim, buy a bonsai. It was mine- I bought a flea market tree that either I killed or may have been on death’s door from day one. I happened to try again a while later and obviously my experience eventually got better. But I’ve got a hunch that most of those people who have a mallsai experience leave it there. Probably either disappointed in the tree, or even worse in themselves. And that’s a sad thing. Speaking of, I think it’s high time I put together a tree for my mom. One that hopefully will only die because of bad luck or just simple forgivable inexperience. One which also hopefully turns into a first learning experience on the long road of an enjoyable hobby. Ok, so I’m gearing up for another very busy spring. We have been repotting and wiring and planting trees nonstop this Jan, feb, and March in anticipation of busy season in April and to get ready for our April spring festival. ( april 15th, 16th, and 17th), just sitting down waiting for tea bags to do their work to the hot water, when I noticed yet another article on the withering of the art of bonsai in Scotland. I had just read a similar article on the withering of the art of bonsai in America last week. Considering this is my full time job, and now the full time job of David, my son Avery, myself, and a yet to be determined future online manager, this was disconcerting to say the least. I actually disagree with that statement, at least in the US. 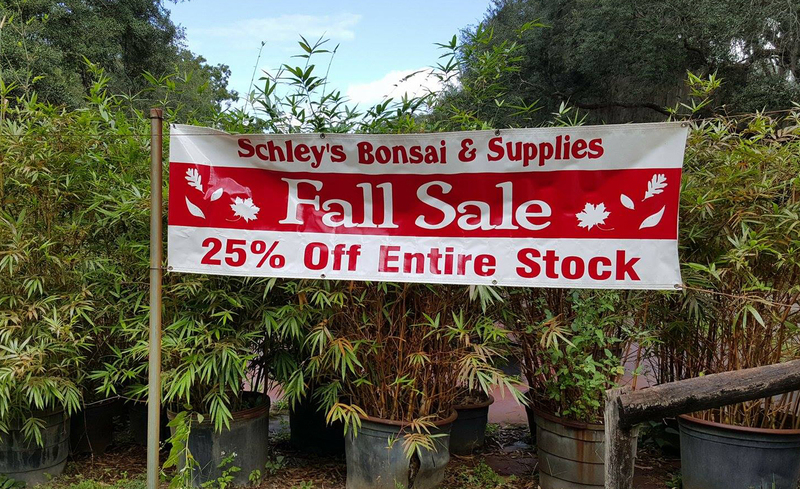 In the 25 years I’ve been doing bonsai, and in the 13 years schley’s bonsai was been in business, I’ve never seen more people in the 1 to 5 year active range. Sure, when I started there were more people, but they were the previous generation, that got excited by the wave of enthusiasm in the 70s, or were swept up in their excitement in the 80s with karate kid franchise. Most of those people unfortunately moved, or moved on from this earth, the central florida hobby suffering with each loss . I was the youngest in the club back then, at least who stayed long term, for years. The next youngest members beating me by at least 12 years. That slowly changed, which was wonderful, since I’m no spring chicken these days, but it was still just a trickle of new members. Not a flood like most of us bonsai hobbyists expect when we get into this hobby and can’t imagine anyone in their right mind not doing this. There wasn’t even enough new members to replace the old, or in some cases just enough. Now we have the Internet. That alone has simultaneously made this hobby emense, but even smaller all at the same time. I see people and talk to them in Texas, Michigan, Ohio, Utah, California, Louisiana and Oregon on literally a weekly basis. That is amazing. I have been doing classes for beginners since 2004 on a once a month basis. I would expect some would bow out of hobby due to other interests, but some will surprise me a couple years later seeing them still interested and still with the same living trees. They will come in and require help or supplies. And this is once again encouraging. However, I still think we are too nitchy. The people in bonsai come from all walks of life, which is fantastic, but also may be why we are still so tiny in comparison with other hobbies. Golf, for instance. Surfing, biking, even orchids if we are going to stay in the plant genres. So I propose that we start to focus on certain groups, and try to make bonsai a part of said group. Here are some examples. Sure. A bonsai in each hand. A requirement for mature enlightenment. This has always been one of our strong factions . 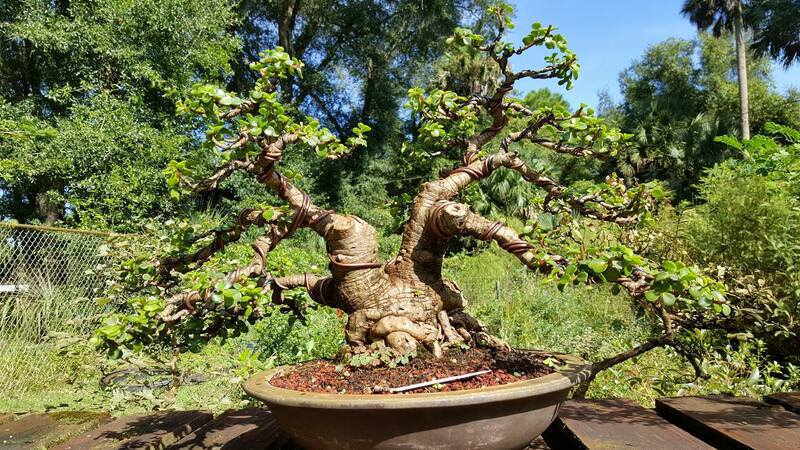 At a certain age, backs and knees don’t work like they used to, and bonsai is a great way to enjoy nature without getting on your knees to plant and pull weeds and trees. It makes perfect sense. Why not. In bonsai, you need to think 5 moves ahead. And it takes years, even decades to master. And you only get better when you go against better competition. Not a hobby anyone will get board with because they have mastered it. Not going to happen. Hear me out on this one. Driving on the road can be extremely stressful and extremely long and boring all during the same day. Cars may dart out in front or a bridge may be precariously low. Sure, after work it’s good to unwind with a beer and burger, or possibly self destructive habits to relax, but as bonsai growers can attest to, bonsai is a great form of meditation to relax and wind down for the day, or even gear up for the morning to bring your mind in focus, before you are dodging that tiny car that had no idea you almost squashed them like a bug. It’s really a great transitional event either way. You betcha. Meditation. It fits like peas and carrots. In fact, every yoga student should have at least 3, so they can always have one in their meditation/yoga studio, and 2 outside in the sun to stay healthy, and cycle them out. They really need more, but the start is 3. If every yoga student got into the art in the US, we would become the biggest bonsai consumer in the world. In fact, there is maybe another group of people I think could transport bonsai from a niche hobby to a mainstream phenomenon. Case in point. If we could get the hipsters excited about it in the states, like truely interested to almost “I need to improve my tree, this is more than a passing fad, but a lifestyle and I need to show how ironic I am” level, it could kill two birds with one stone. One: is youth as hipsters tend to be under 40. In fact under 30 their ranks swell to pseudo main stream, and because of that, Two: get the hobby more into main stream. So that’s my calling. Make the hobby 1# with the ironic artsy crowd. It also may take the hobby in a few different directions many never thought of, which is fine as well for the sake of art. America has a large influx very quality, youthful talent right now, but it still seems to wax and wane. Let’s make it so large and such a part of everyday lifestyles that it no longer wanes to any noticeable level. The yoga crowd, the truck drivers, the retirees, the chess players, in fact, every man woman and child should get in this hobby. It will elevate and appreciate all aspects of bonsai. Ok my morning thoughts. A little tongue in cheek. But not. Come to our event. Bring a hipster. Or a truck driver. This week has been great, things have been flying off of the benches at the farm. We have had so many wonderful customers, old and new, coming to check out our selection. It has been awesome to see so many people who are enthusiastic about the sale and about all of the awesome trees that Jason has put his time and energy into. Some of my favorite items have found new homes with great people. If you haven’t had a chance to come by yet, the sale doesn’t end until the end of the day Saturday. If you aren’t in the area for whatever reason this sale is also available for our items online. And don’t worry if you aren’t sure what to get, our gift certificates are also available at 25% off which is a great way to keep the discount going on for as long as you need. They also make excellent gifts so shop now! This is one of 15 southern live oaks I have left of the origonal 50 cut back and container grown from seed for the last 13 years as of this summer. It was left in a pot for a few reasons. One, to sell. It’s difficult to sell a tree in the ground, expecially out of season when you can’t safely dig it up. Also, ease of maintenance. It’s a lot easier to keep trimmed and clean in a 12″ bulb pan. This was cut to a line and placed on a finished container a year ago. The roots were close and it tolerated an aggressive root trimming, just like all the others. Plus, tons of activity in the soil. It’s amazing how much healthier they are with good drainage and correct fertilizing. If it was grown in the ground, or even in a larger container for a few years, it would be triple this sized. In fact, 30 more of the original batch of oaks in 2003 were left to grow into A1 landscaping and the last 7 I have left are all over 4″ inch trunks and 10′ tall now. Just goes to show you what limiting roots in bulb pans or bonsai pots can do to tree stunting. I agree that growing on the ground is the best way to thicken trunks long term. However, it is at the expense of any branch refinement. You grow those later, in stages. The ground is not for refinement, it’s for trunk development. On a side note, root maker pots seem to be a good tradeoff on trunk development, plus being able to do some initial styling work. One thing I did notice, is oaks have beneficial microbes in the soil. More than any other tree I work with other than pines. And health is indicative by amount of living organisms in mix and just general toughness. Oaks are hungry, but really thrive with organic fertilizer, which makes perfect sense if the microbes in the soil do in fact help uptake nutrients like other trees displaying similar traits.